Meat has always been the go-to source of protein for people who want to build muscle. Meat, whether it is chicken, pork, beef, turkey, etc is good because it keeps satiety levels high. It contains high levels of muscle-building protein compared to other types of food. Plus, meat in general is also more calorically dense than protein substitutes. But, on the flipside, commercially grown meat is also known to raise bad cholesterol levels in our body. Most popular meat cuts are also high in fat which may lead to lifestyle diseases. Not to mention, commercially grown livestock are injected with a bevy of medicines such as antibiotics, hormones, even strong asthma medicine, just to be able to let it grow faster and bigger for better profit. With that said, it is no wonder why people are clamoring for meat-free alternatives that are at par with the effect of meat when it comes to muscle building. Whether you are going meat-free or planning to use meat-alternatives as protein sources, the best time to put protein in your body is right after a training session. Your body is at it’s most receptive during this time because muscles need repair. Peas, Monggo, Lentils, Edamame (soy beans) are packed full of protein. You can add these to salads and stews for additional protein. In fact, 1 cup of the humble Monggo has 49 grams of protein. Quinoa is a grain in trend right now. It is a popular rice substitute that has 24 grams of protein per cup. Quinoa is great with salads or can be cooked as a faux rice bowl. Just add your favorite veggies, herbs and season to your liking. Almonds, Chia Seeds, Hemp Seeds, Sunflower seeds, etc. are great sources of protein. You can spread some almond butter on your bananas, or add hemp/chia seeds to your fruit smoothies for the added protein power. Surprise, surprise! Green leafy vegetables are actually great non-meat protein sources. For example, 2 cups of raw Spinach is 2.1 grams of protein while 1 cup of chopped broccoli contains 8.1 grams of protein. 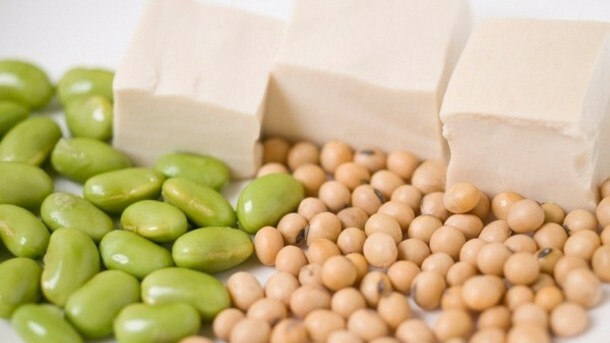 At 20 grams of protein per cup, Tofu is another meat-free protein source that is a favorite of vegetarians. When prepared right, it is a great meat alternative because of its texture.